We’ll start off the first Monster Monday with the ever so awesome Watchers, from 1988. Based on a novel by Dean Koontz, the story involves a boy who takes in a stray dog, later discovering that it’s an ultra-intelligent runaway from a genetic research lab. Unbeknownst to him, however, the dog is being stalked by another escaped creature that’s not quite so friendly. Our protagonist (played wonderfully by Corey Haim) along with the beloved genius dog fur-face, attempt to escape the Monster’s grasp through any means necessary. The hairy arms... The grotesque hands... Indeed, Watchers is a monster-lovers dream! A secretive or underground organization conducting genetic experiments. Indeed, the film captures these things SO well, that it remains one of my favorite monster movies of the 80s. Many seem to have been disappointed with the film after reading the book; however, I can’t comment on this aspect, since I've yet to read it. 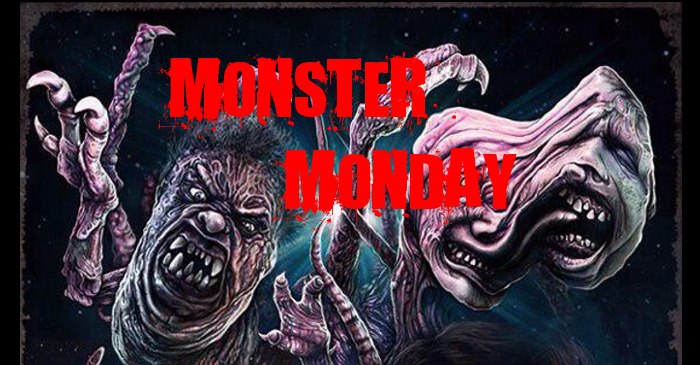 Nonetheless, the visual appeal of the monster, the excellently incorporated aforementioned tropes and superbly crafted 80s atmosphere manifests a truly enjoyable viewing experience that should please any fan of creature features! I remember initially seeing the film in the mid 90s. It seemed to play regularly on USA (or maybe on Sci-fi when Sci-fi was actually good). In fact, I think I saw the sequels (there are two of them, since I purposely pretend that Watchers Reborn doesn't exist) there as well. At any rate, I recall being mesmerized the entire time. I assume this played a large role in cultivating my present fascination with the tropes mentioned above. That being said, when re-watching it years later, the movie certainly failed to disappoint. This isn't at all surprising, however... I mean, how many films feature a monster, a genius golden retriever and Corey Haim? Unless you consider Corey Feldman both a monster and a genius Golden Retriever, the answer is ONE. Watchers! WATCH(ers) it!